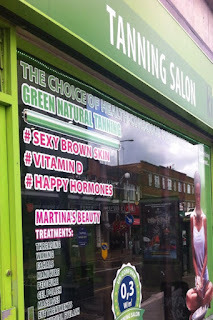 ‘I didn’t even notice you’d had a spray tan done’: The role of distinction in the production of femininities in the beauty salon. 3. Where possible, always shave or wax at least 24 hours prior to a spray tan appointment, as hair removal after a spray tan will remove the tan. 6. Try to avoid activities that involve excessive perspiring for 12 hours after a spray tan. 7. Try to avoid activities that naturally exfoliate the skin – such as baths and chlorinated pool swimming – for at least 12 hours after your spray tan. 12. Exfoliate from head to toe the day prior to a spray tan, paying particular attention to areas such as your knees, elbows and ankles. 21. After a shower, try to gently pat your skin dry and avoid vigorous rubbing when towel drying. Tap, red heart, and a like. Clear skin, smile (or a pout). Hair down, tied to the side. Tilt head. White teeth. Whiter teeth. Straighter teeth. Smooth the wrinkle. Tap, like, love. Feminism and phenomenology have long engaged with questions concerning the body, as responsibility for the other, the body as the site of an exchange, in the form of birth and beauty, the ‘natural’, the aesthetic, the primordial and earthy. The body as the site of giving and ethics, of anxiety and tension. The dualism of reason reconciled within a body perceived and enjoyed— and if one, how the other? The challenge of objectifying and living from the same ‘situatedness’ (de Beauvoir). Johnny Weissmuller was famous, both as an Olympic swimmer and as Tarzan. He won five Olympic gold medals in swimming between 1924 and 1928, and played Tarzan in twelve films between 1932 and 1948. Johnny Weissmuller's body is, inevitably, well documented in film and photograph. It is the highly muscled body that is typical both of the elite swimmer of that period and of many actors. Yet it is a very different body to that of his modern counterparts, be these the swimmer Michael Phelps or Alexander Skarsgård, the most recent actor to play Tarzan. Both these bodies are like Weissmuller's in being highly muscled. However, the definition of the muscle is much more precise, in what body builders refer to as clean bulking. In the case of Skarsgård the definition is almost ludicrously clean (or is this just CGI? ).